Once your business web site is up and running, you need a process to bring more visitor traffic and generate leads. There are numerous methods to generate leads including implementing SEO, blogs, Ebooks, emails and social media. To make the most out of Facebook, Twitter, LinkedIn and other sites, you should utilize social media marketing firms. Increase visitor traffic - regular activities on social media sites that include posting links to your web pages and blogs will grow the number of visitors to your web site. Leverage SEO - with search engine optimization (SEO) implemented with your social media content you can attract the attention of your target market through social media sites. This not only attracts leads but can also increase your search rankings for your web site. Higher quality leads - the leads from social media sites can be more in line with your ideal customer, which will give your sales team leads that are more likely to convert to sales. Referrals - social media sites can encourage readers to "share" and "like" your posts. You can also solicit readers to bring referrals through social media requests and even create contests if you like. Build your brand - your business brand identity and recognition can grow quickly through social media marketing. More readers will recognize your brand and be enticed to use it. Grow loyalty - existing customers will be able to provide comments and feedback through social media. This gives you an opportunity to respond and interact with your audience in a professional way even if the feedback is negative. Social media marketing firms understand how to leverage all the aspects of social media to help you reach your business goals. For more information please call us directly or click the button below and we will contact you. Thank you. Social media marketing requires special skills and understanding of how the world of social media works. Facebook, Twitter, LinkedIn and other social media sites can be a powerful tool to generate leads and bring new business to your web site. Underneath the web sites is an elaborate mechanism to track user preferences and help businesses to promote their products or services. Social media marketing firms can help a company navigate through the maze of technology to properly market their business using this powerful medium. The top social media marketing firms have a good understanding of the behind the scenes technology as well as a method to build interest and influence in the social media world. Focus on the target audience - by creating an online business persona that appeals to a specific target market, businesses are able to attract the right visitors which can then turn into qualified leads and convert to customers. Monitor activities - by using the right analytics and tracking tools the marketing company can review social media activities to determine how effective a particular campaign might be. Metrics such as the number of tweets or retweets on Twitter, likes or shares on Facebook, and comments or referrals on LinkedIn can be valuable information and provide more insight into new strategies and tuning opportunities. Coordinate with all marketing initiatives - to make the most out of social media marketing there should be a consistent message within social media and on your business web site, emails, blogs and other marketing channels. The more coordinated and consistent the message is, the more likely visitors will respond. Social media marketing firms can also leverage industry benchmarks and best practices to help a company with their online initiatives. For more information please call us directly or click the button below and we will contact you. Thank you. Every business should have a marketing strategy that includes social media. More than ever consumers and other businesses look to social media to find out about new products or get referrals on preferred businesses and solutions. Whether you have a small corner boutique or a global enterprise you should have a social media strategy incorporated into your marketing plan. Social media marketing firms can jump start your initiatives into Facebook, Twitter, Pinterest, YouTube and other online channels. It is crucial that the social media marketing firms that you work with have a coordinated effort that aligns with your business goals. Have a message – every campaign should convey a message that is tailored to your marketing and business plan. While the messages can vary a bit from one campaign to the next, there should be some degree of continuity. For example a campaign to get new customers could utilize some of the same messages as a campaign to announce a new product or service. Stay consistent – every social media posting for your campaign should consistently convey basically the same message. While you can elaborate more on Facebook than on Twitter, you should keep the core message consistent. Use the right sites – not all social media sites are created equal. It is important to understand your target market and which sites might be best for you. As an example if your business offers arts and crafts materials you may want to participate in Etcy. 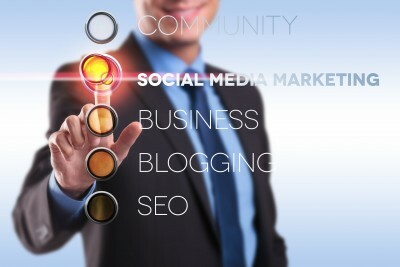 Seldon Marketing has extensive experience in developing and improving social media marketing strategy. Whether you are just beginning or if you need to refine your approach, Seldon Marketing is one of the premier social media marketing firms to get your business on the right track. For more information please call us directly or click the button below and we will contact you. Thank you. Part of your marketing plan should include your social media strategy. To help in developing your approach to social media, you will need to find a partner that can assist you in properly managing the implementation and execution. Many social media marketing firms are available to choose from – but which firm would be best? Experience – does the firm have experience with managing social media campaigns? Can they provide examples of the types of campaigns that were managed and how they performed? Look for quantitative and measurable facts to help you to compare. Knowledge – is the firm familiar with your particular industry or business? Can they share what they have done in your industry and if they are currently working with any other businesses that you may know? If they are working with your competition make sure you have a non-disclosure agreement in place so that your trade secrets will be kept intact. Skills – it is good for the social media marketing firms to have real world business experience, but it is also important that they know the technical side of campaign management. What tools do they utilize to gather information, analyze and make recommendations? Do they have technical experts as well as business experts as part of their team? 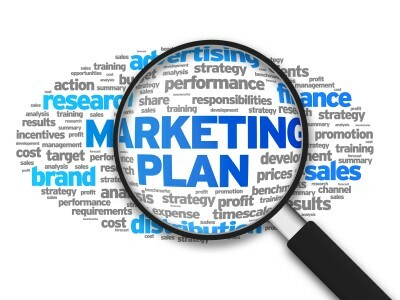 Value – what added value does the firm bring to your marketing plan? Can they benchmark against similar industries and companies and make recommendations? Or does the firm only look for ways to charge for services? Make sure you are getting the best value for your investment. Social media marketing requires knowledge of online communities and how they can be leveraged to improve business. 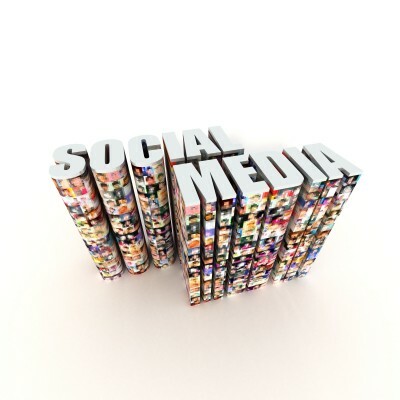 Seldon Marketing can help you to launch and manage your social media strategies. For more information please call us directly or click the button below and we will contact you. Thank you.